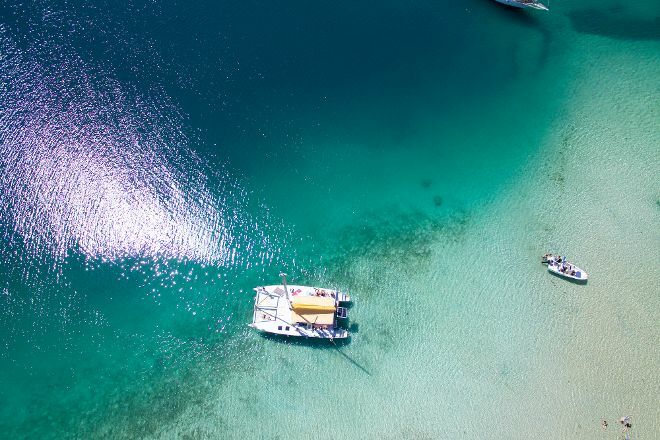 Leave your everyday routine behind and travel with Catamaran Bwa Drese, allowing you to discover the natural splendor of the area's picturesque barrier reefs. You'll be able to swim and admire rare iguanas, enjoy a scrumptious onboard lunch, and be introduced to a few traditional recipes--perfect for learning how to prepare sorbet or fishcakes. This tour includes plenty of chances to sightsee, relax, swim, snorkel, eat, drink, and work on that perfect holiday tan. 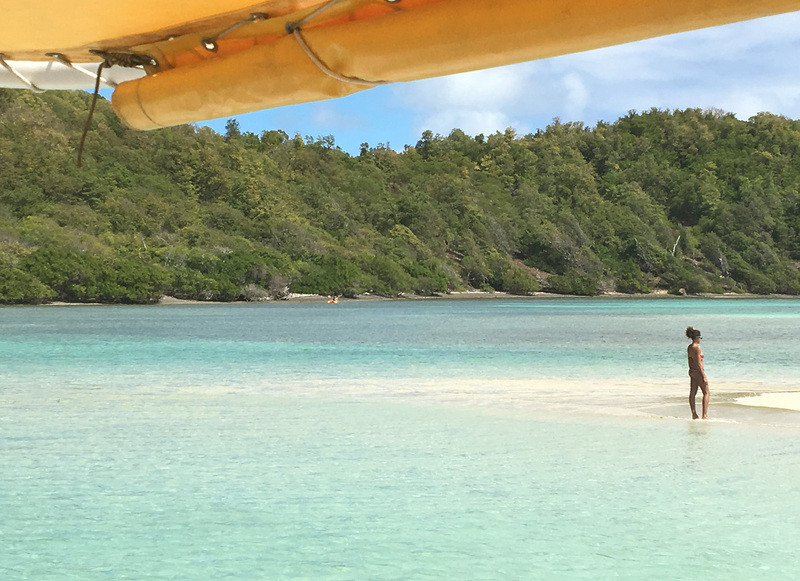 Take a look at our Le Robert trip tool to schedule your visit to Catamaran Bwa Drese and learn about what else to see and do during your holiday. We had a great day. Thanks to Olwen and Richard for their joy of living, for the atmosphere on the catamaran. Excellent cuisine, baptism of rum at the top, we laughed well. The day of Sunday 24 March 2019 could have been great! But the two people aboard to welcome us have really lacked professionalism! Romain and Soraya spent their time drinking, going down in the "Calle" to sleep (it is assumed)... No accompanying customers, they preferred to go on another boat to get drunk and dance stick-tighten! What a lack of knowing how to live because in view of the price of the day is a lack of respect for tourists!!! My opinion has been unanimous on the boat. Every day, we help thousands of travelers plan great vacations. Here are some tips on how to use your Listing Page to attract more travelers to your business - Catamaran Bwa Drese. Promote your permanent link - https://www.inspirock.com/martinique/le-robert/catamaran-bwa-drese-a1209914851 - on your website, your blog, and social media. When a traveler builds a plan from this page, the itinerary automatically includes Catamaran Bwa Drese. 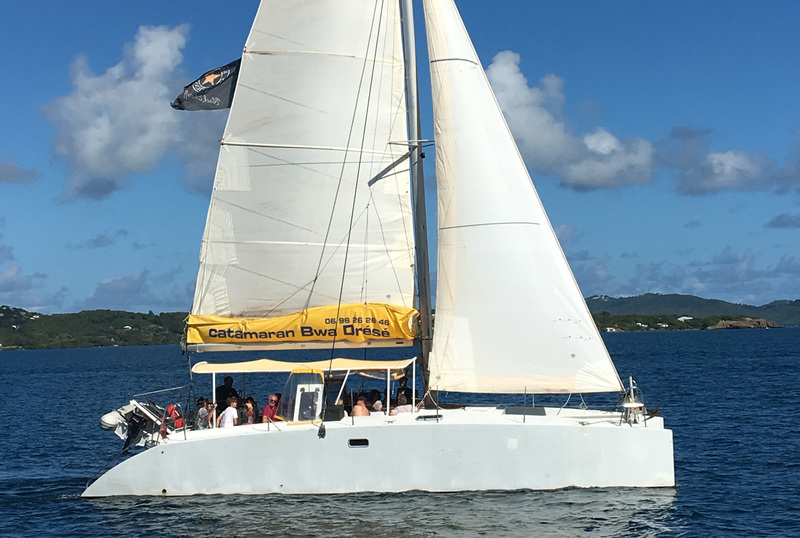 This is a great way for travelers looking for a great vacation in your city or country to also experience Catamaran Bwa Drese. Promoting your link also lets your audience know that you are featured on a rapidly growing travel site. In addition, the more this page is used, the more we will promote Catamaran Bwa Drese to other Inspirock users. For best results, use the customized Trip Planning Widget for Catamaran Bwa Drese on your website. It has all the advantages mentioned above, plus users to your site can conveniently access it directly on your site. Visitors to your site will appreciate you offering them help with planning their vacation. Setting this up takes just a few minutes - Click here for instructions.